Septemeber is Leukemia and Lymphoma Awareness Month. Health insurance providers, medical practices, law firms, and many other institutions are spreading awareness about the diseases. 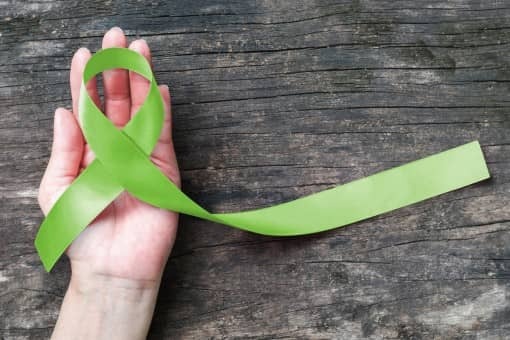 Join the supporters of Lymphoma survivors, patients, and their loved ones by wearing a lime green ribbon this month. Leukemia and lymphoma are types of cancers that can affect the bone marrow or blood in a person’s body. At the onset of leukemia, the tissue present in the bone marrow is affected first since that’s where stem cells produce blood cells. Leukemia causes the bone marrow to produce abnormal white blood cells that eventually outnumber regular cells, hindering their work. In adults, leukemia makes up over three percent of all cancer diagnosis. On the other hand, in children under the age of 15, it’s the most commonly found cancer. Meanwhile, lymphoma starts in the cells that make up the lymph system, which is a component of your immune system. The body can develop lymphoma anywhere because of the wide presence of lymph tissue all over the body. A part of blood cancer awareness month is educating the public about the types of leukemia and lymphoma. In the Monsanto Roundup Weedkiller case, the plaintiff was diagnosed with non-Hodgkin’s lymphoma, but there are other types as well. •	AML Acute myeloid leukemia affects your body’s myeloid cells and spreads quickly. This commonly develops in adults. •	CLL Chronic lymphocytic leukemia targets the lymphocytic cells and spreads slowly. This type commonly forms in adults. •	ALL Acute lymphoblastic leukemia attacks every lymphoid cell and spreads rapidly. Most children are diagnosed with this type of leukemia. As for lymphoma, there are two categories. •	NHL Non-Hodgkin Lymphoma isn’t a single type but rather a group of different cancers that affect cells in the immune system. Within the group, medical professionals identify different types as aggressive or growing slowly. Despite the availability of treatments, there are a number of factors that put you at greater risk of developing blood cancer, making it important that you visit your doctor. The lawsuit against Monsanto Roundup Weedkiller proves that herbicides containing glyphosate increase a person’s risk of developing non-Hodgkin Lymphoma. In the case, the plaintiff Dewayne Johnson was working as a groundskeeper for a school. His job required him to expose himself to the herbicide for long periods of time, and over the course of his employment, he was completely soaked in the product twice. He was later diagnosed with non-Hodgkin lymphoma, and sued the manufacturers for faulty marketing and failing to warn users about the effects of using the herbicide. The verdict for the cases ruled that Monsanto would have to pay almost 300 million USD to victims as compensation and damages for emotional distress and medical costs. Now, people who developed non-Hodgkin lymphoma as a direct result of exposure to Roundup Weedkiller are seeking compensation from the brand. This Leukemia and Lymphoma Awareness Month, dedicate your time to volunteer for organizations such as the AACR to raise awareness about blood cancers, donate to cancer research, spend time with those battling the disease, or simply take time to educate yourself on the causes and symptoms of the disease itself.